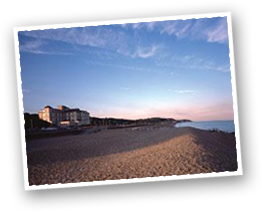 The closest beach is Hythe, where some of the best fish and chips are to be found. Whitstable is 13 miles, where the world’s best oysters can be sampled with a glass of crisp white by the sea or why not buy your fresh fish from the harbour and bring it home for a cosy supper. Also to be found are some of the best antique shops, rife for the rummager with an afternoon to while away. Kite boarding can be observed – and for the more fool hardy, attempted! 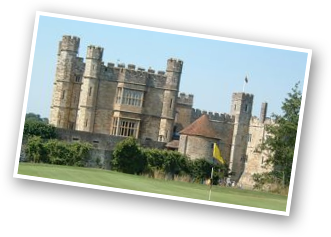 Also you can visit the beautiful Leeds Castle (and enjoy the grounds again and again with a 365 day ticket after your first entry - no extra charge) or historic Hever Castle, family seat of the Howards and home to Anne Boleyn. 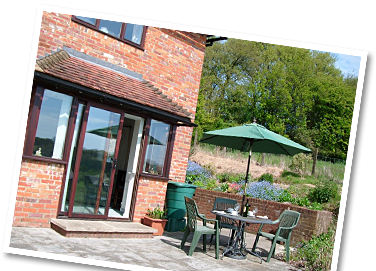 Alternatively, visit John Aspinall’s 300 acre wild animal park at Port Lympne or the more compact Howlett’s at Canterbury. Day trips to France and Belgium from Dover or through the Tunnel, don’t forget your Passport! Always some interesting activities as well as the animals. Contact the rare breeds centre for an update on current events. special events, phone for details. Free admission and tasting open daily. lots to do for all the family. 100 period keyboard instruments, a Georgian Manor set in beautiful grounds. 45 minute guided tour, tunnels used as shelter during the 2nd world war. Open daily 10.am – 5.30pm, new visitor complex. A great attraction for all the family to enjoy. Check out their website to see all the amazing animals you will be able to see!